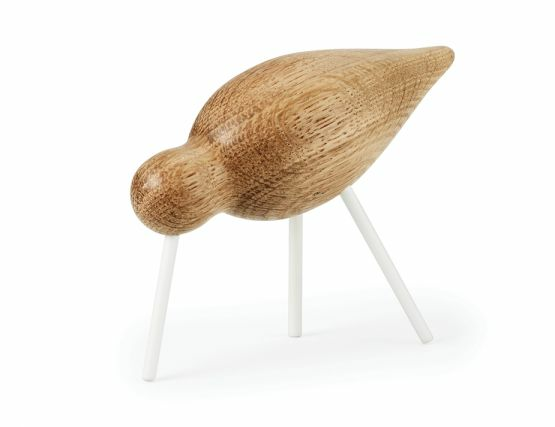 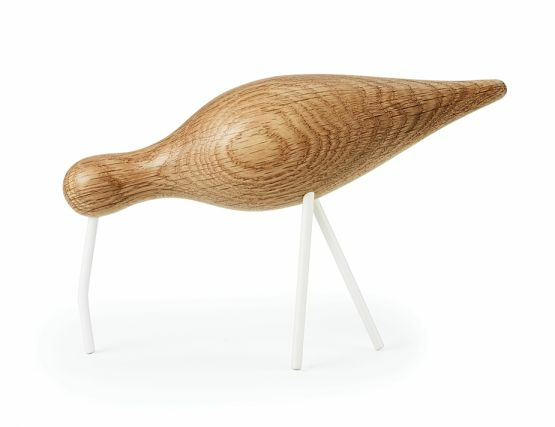 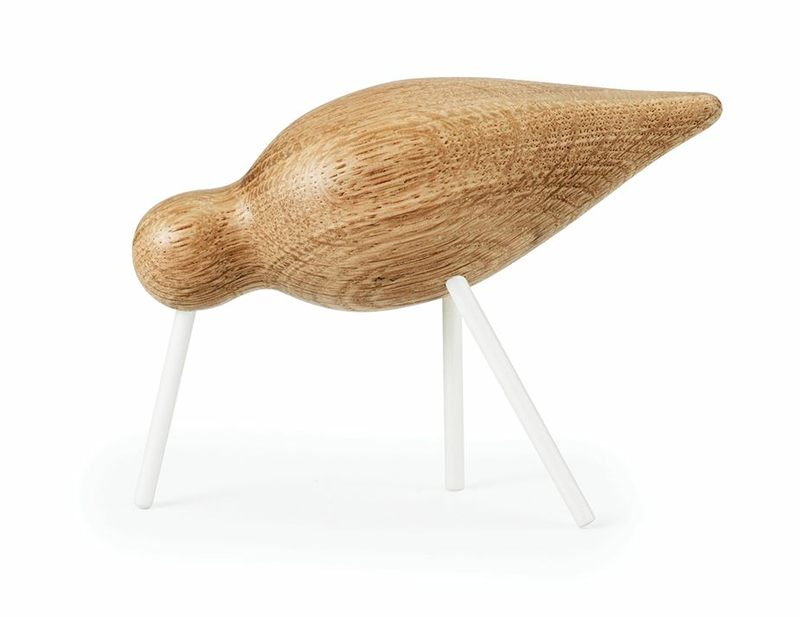 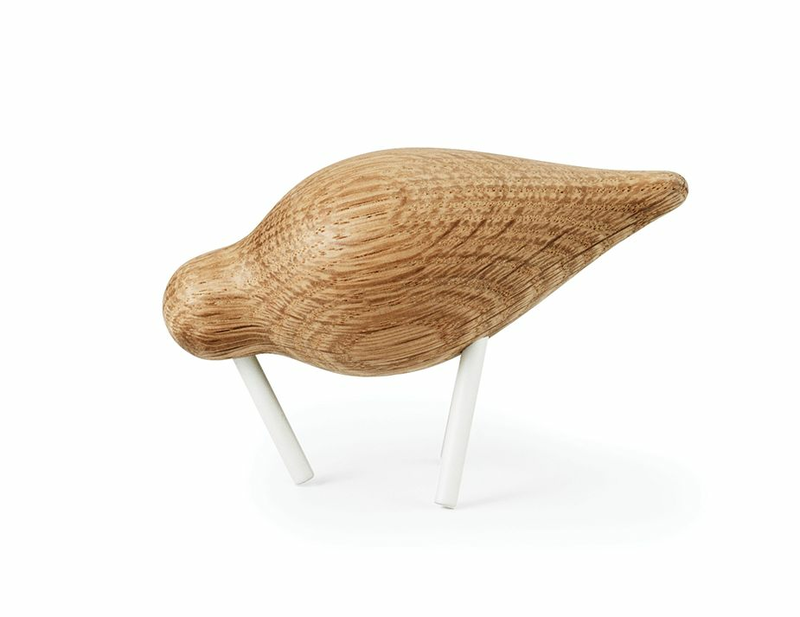 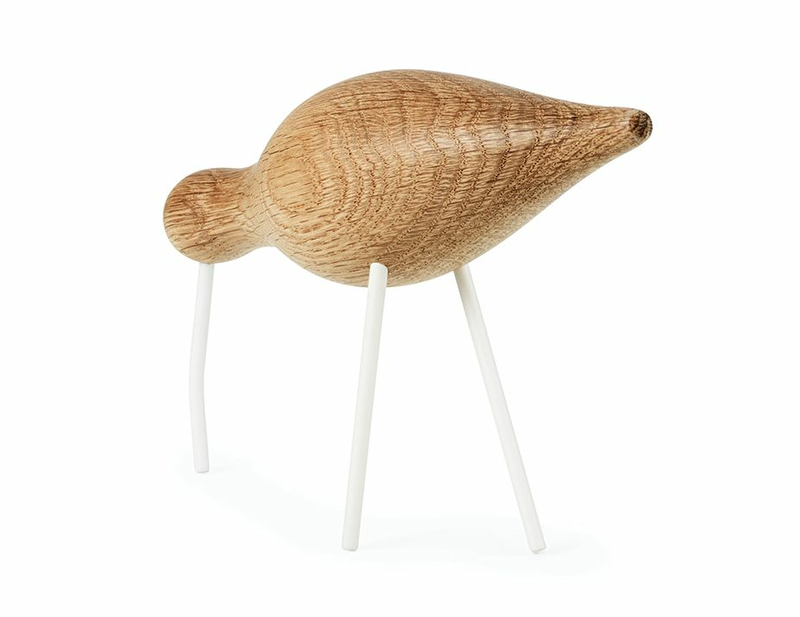 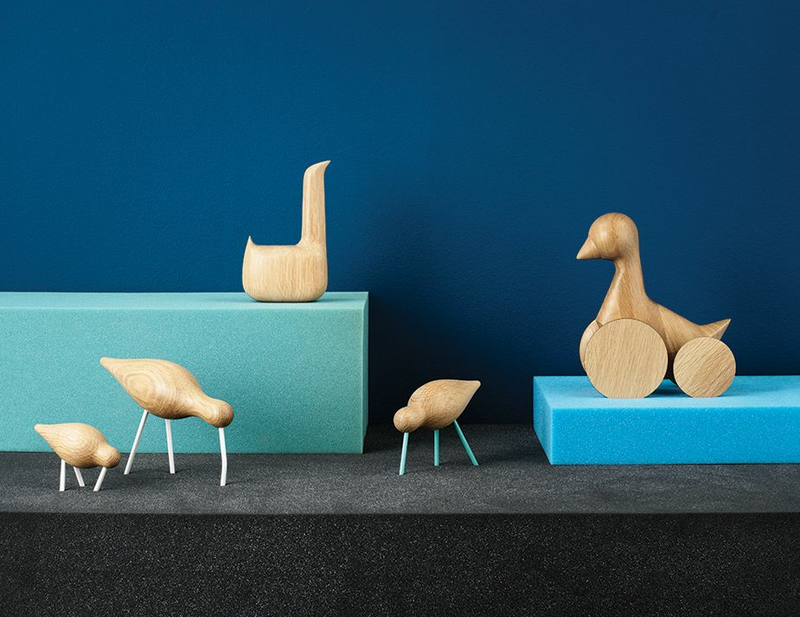 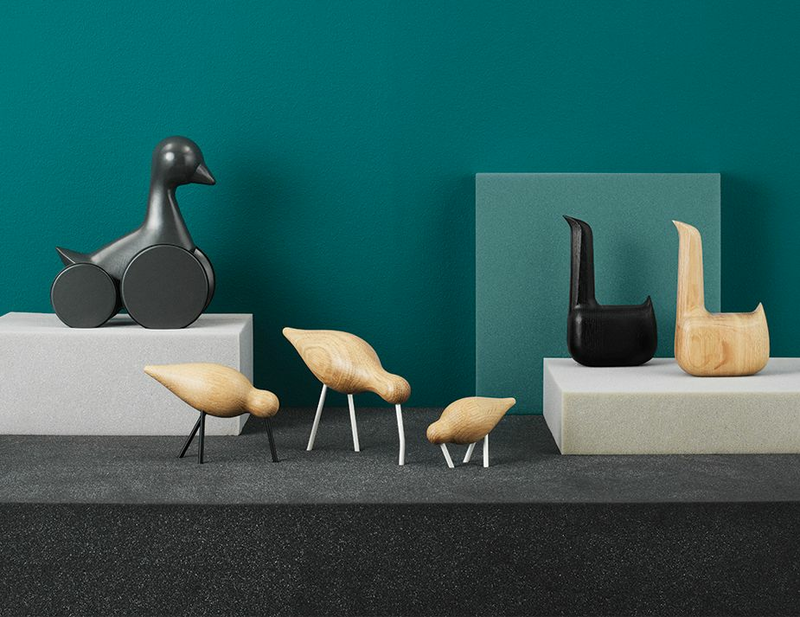 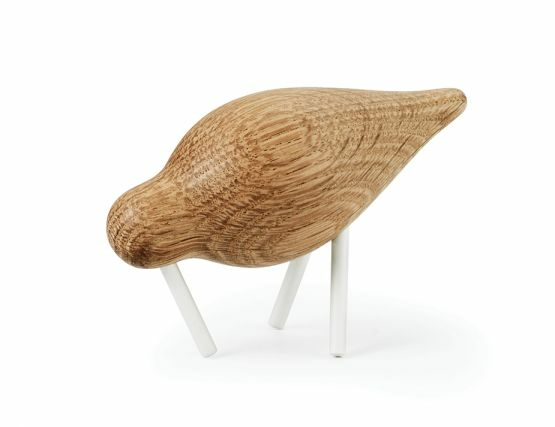 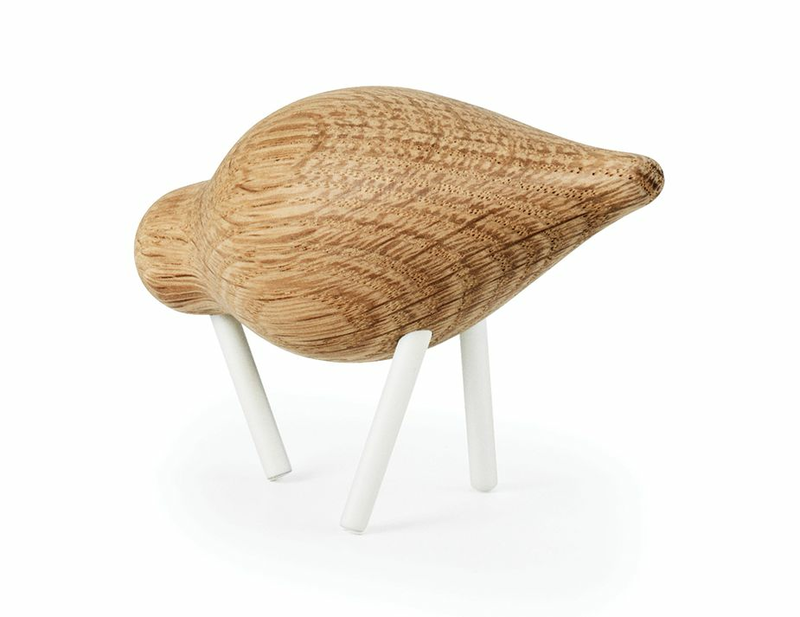 Let your home decoration take flight with the Shorebirds – a range of solid oak figures with a stylized yet spirited expression. 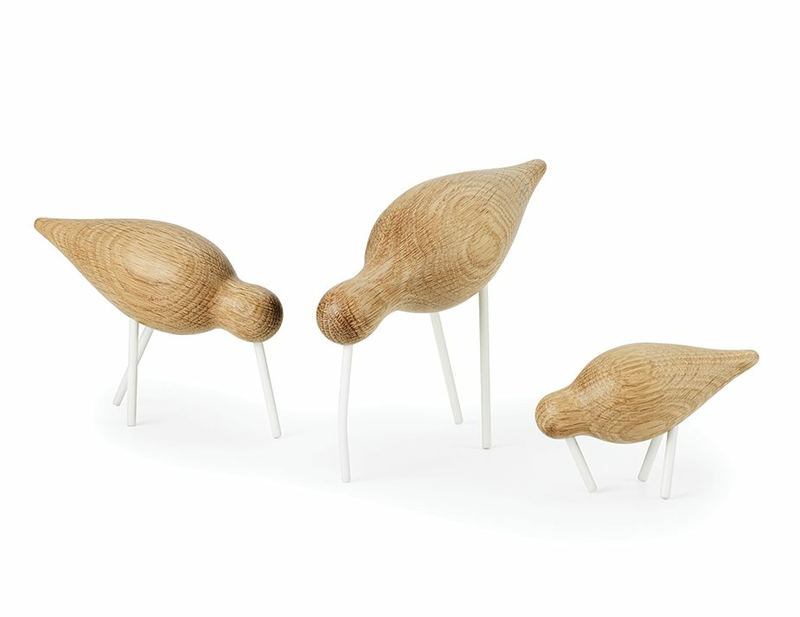 The largest of the three birds is inspired by the curlew, with its long neck and distinguished, downwardly bent beak. 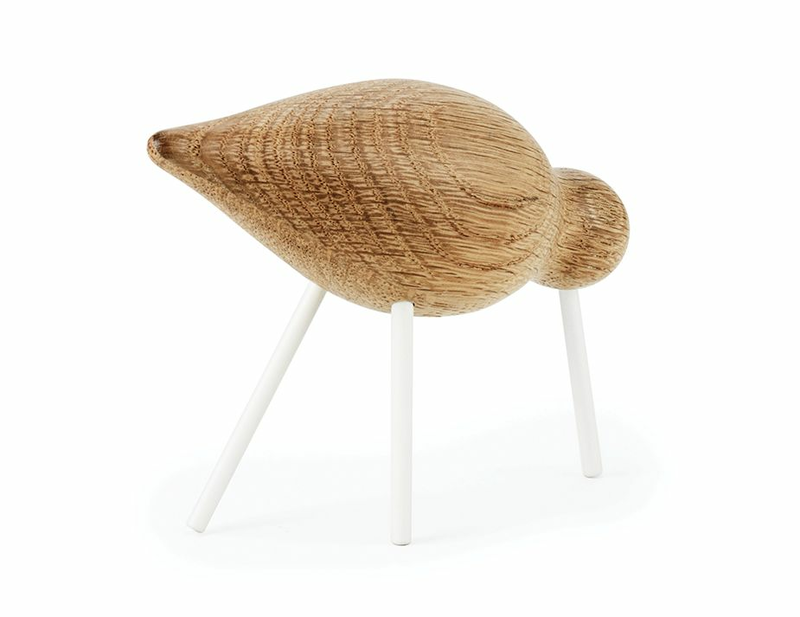 It is an aristocratic creature. Its long legs take slow, well-considered steps while looking cautiously around. The middle-sized bird is alert and active like a redshank. 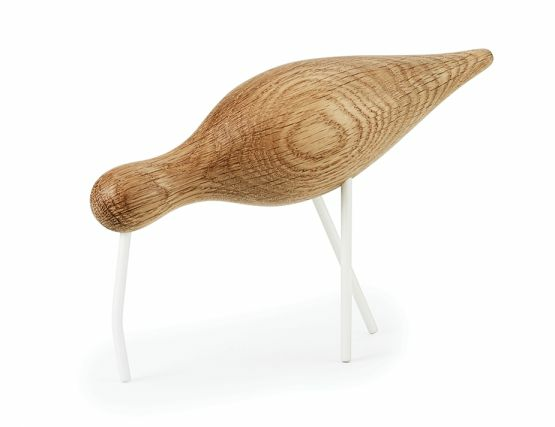 This elegant bird is often to be found with other wading birds. 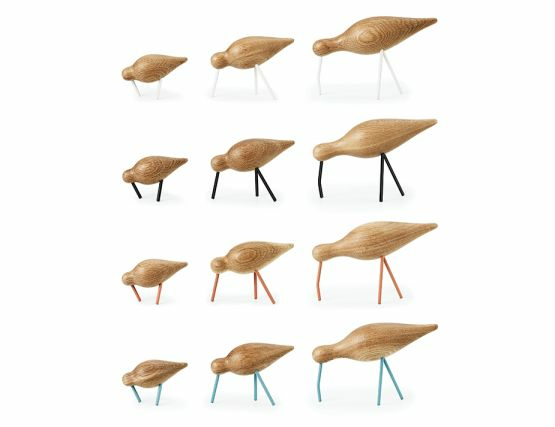 Finally, we have the sandpiper; a sociable little bird, often to be found in large flocks. Place the large Shorebird on a shelf, sideboard, or dresser where it can proudly stand side by side with your vases and other decorative items. 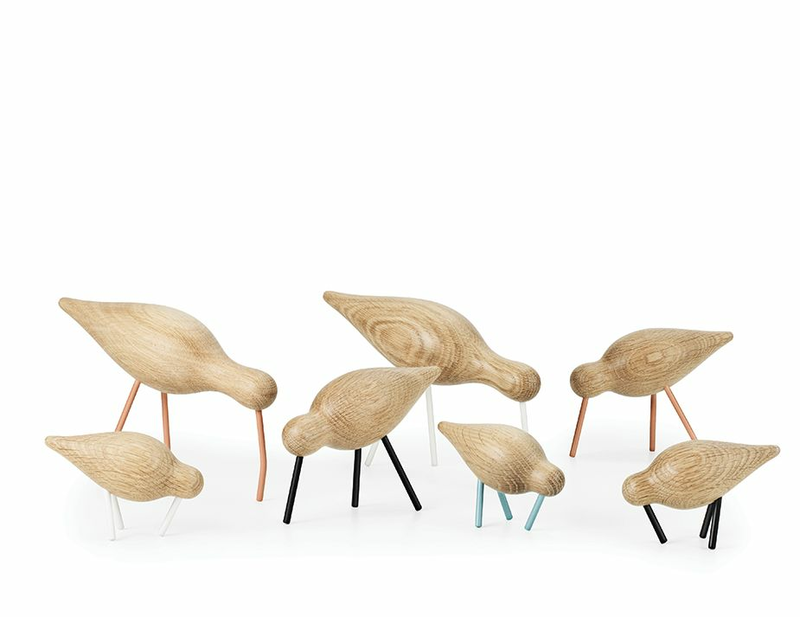 The two sociable, smaller birds are ideal for placing in groups, where the combination of their different sizes and colors create a stylish and playful effect.